Most web forms are targeted my spammers and bots. Most Blogging Platforms have their own ways of keeping the bots and spammers away. Wordpress uses Akismet for this process.Blogger has its own filtering mechanism to keep the odd ones out. 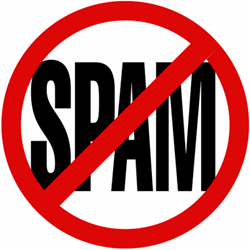 Now Blogger improved its spam fighting mechanisms by integrating Google’s Spam Filtering Technologies into Blogger. 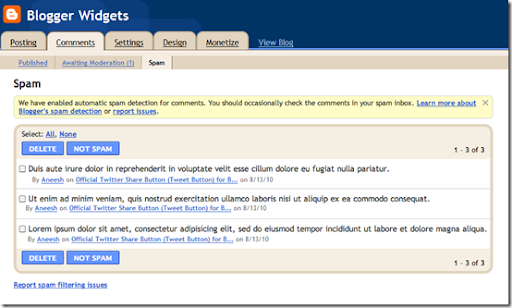 Blogger will automatically detect Spam comments and move them to Spam in your Comment Inbox. The comments in the Spam Inbox are not visible in your blog. You can mark Comments as Spam and move them to the Spam Inbox.You can also mark comments as Not Spam that have been incorrectly classified or marked as spam and the comment will be immediately published on to your blog. Most people won't see this new feature, you might activate it first. @Yash - js kit ratings is a nice way of implementing star ratings or thumbs up widgets on blogger like platforms.Though Echo has officially announced that they are discontinuing Polls and ratings, they are still available and are used on many gallery blogger templates. your method is a nice way of implementing the rating on each comment using the path parameter. However there is an extra space in the code [js-kit- rating] ;). Is it possible to add a dofollow pluggin to Blogger? 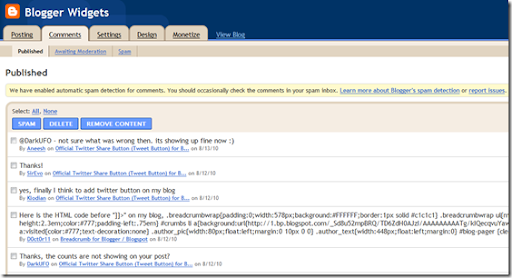 "Is it possible to add a dofollow pluggin to Blogger?"